Next Harvest Hosts! | Awesome Overnight Boondocking! For this episode, we want to share a few things we've learned about our hydraulic systems while living on the road full time! Our first week in our RV, we thought something was seriously wrong with our Lippert 6 point auto-leveling jacks. As we're lying in bed one night, we hear a loud pop accompanied by what felt like the front of the RV dropping a bit. Since our bedroom is in the front of the RV, this was quite startling. After some quick research, we learned that this is a fairly well known issue with a somewhat simple fix. All we needed was a quart of anti-stiction fluid and were good to go! Click the image to the right for detailed instructions! When we're in a situation where we want to stay hitched-up but still put our jacks down for leveling and stability, we level manually. The process is fairly straight forward, but you want to use some common sense. Don't do this at all when the rig is very un-level and don't let the RV put upward pressure (lifting) on the hitch! Manual level / can be done on the LCI One Control panel inside the RV, or on the phone app. We prefer the phone app so you can see what's going on outside and you're not riding one of those crazy simulation rides at Disney! Simply go into manual mode, select Extend or Retract, and press the button for the corresponding side (front / back / right / left). If things get out of whack, just go back to the main screen and retract all and start over. The main slides (living room / kitchen) are tied to the same control switch. Without some intervention, one will always operate, followed by the other. For us, it's always the kitchen slide (driver side) followed by the living room slide (passenger side). But, what if you want a different order or to just operate one slide or the other? Turns out, it's fairly simple. Just close the hydraulic valve for the slide you want to stay put. These valves are typically in the passenger side propane bay, but could be anywhere depending on the manufacturer and floor plan. Ask your manufacturer if you can't find them. Determining which valve disables which slide will just take some experimentation since they are not labeled. One issue we've seen fairly regularly on various RV forums is the failure of the 50 amp self-resetting fuse for the hydraulic motor. It will cause the system to just make a clicking sound but not do anything. Apparently these fuses get weak over time and eventually stop passing enough current to run the hydraulic motor. The fix is to replace the fuse with e new one, but lately the better fix has been to replace it with an 80 Amp resettable breaker. We've also heard that it was enough of an issue that 80 amp fuses are now standard. Note: Installing the replacement fuse (regardless if you go with 50 or 80) might not be a simple swap out. I checked ours and our stock 50 amp fuse is part of a block (bus) of DC fuses. So, while I can disconnect the positive side from the stock fuse (and connect to the new one), I'll need a short run of wire (4 AWG / Rated for 80 Amps DC) to connect the chassis ground side of the new fuse. For several months, we used the Andersen Jack Blocks under our jacks. They seemed like a good idea at the time. Honestly, they are still a good “idea”, but lacking in actual execution. We crushed NINE of them (they sent us replacements for the first 4 we crushed) before giving up and throwing them all in the garbage. They are rated for 6000lbs. Knowing that our pin weight is around 4500lbs, there's no way we had more than half the rated weight on them (for the front jacks – where about half of ours broke). Perhaps that rating might be valid on pavement, but most RV camping is NOT on pavement. After our experience with these, we have absolutely no confidence in these or any Andersen product. We're surely not going to trust the hitch at this point. I must say… plenty of people use Andersen products without incident and love them. But not us. 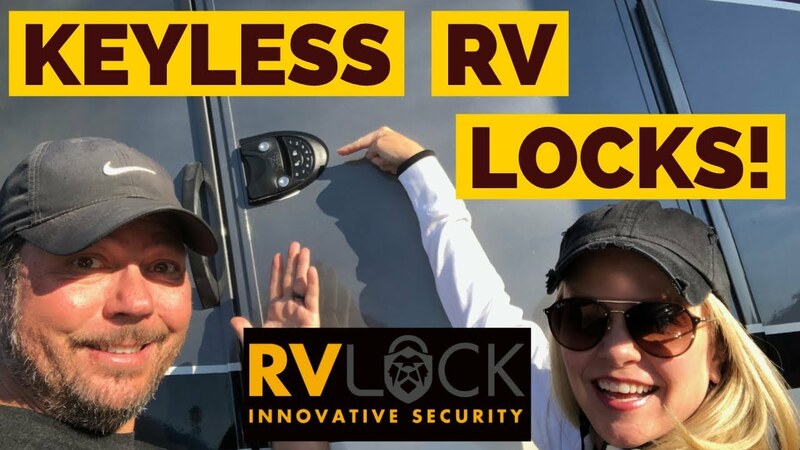 Then we discovered RV SnapPads! Very solid and they just snap right on and stay on! They don't lessen the jack extension like the Jack Blocks did, but they don't break and they stay on the rig. That's an awesome advantage when setting up and breaking down camp. Also, RVSnapPad is working on a new product that will integrate with the SnapPads to help with the jack extension / stability this sometime year. We will be helping them prototype that new product and will do do a video on them when they come out. We've been using the RVSnapPads for several months now and really like and highly recommend them! They are less expensive on the SnapPad web site versus Amazon. Use our link / code (LANES10), you can get $10 off your order!